Made with a whopping 30% organic hemp seed oil this lotion is rich, thick and amazing. It is great for tired and achy hands and rough skin. 🌱🌱 Hemp oil is an antioxidant powerhouse. It has the perfect balance of omega-3 and omega-6 oils. It's also rich in a complex blend of fatty acids and phytosterols. The green comes from something called carotenoids, which may offer anti-inflammatory benefits to a product. Hemp is cell regenerating and very moisturizing. NOTE: there is no THC in this product. 🌱🌱 Rose Absolute is decadent. 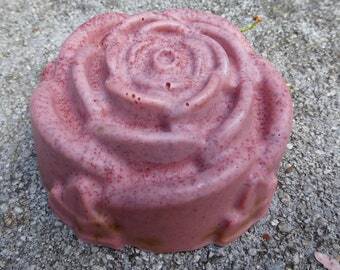 I've used both rose hydrosol and essential oils in this cream. It is anti inflammatory, antiseptic, and helps refine your skin. It's said to help calm redness! The scent is a wonderful antidepressant and calming. 🌱🌱 Vegetable glycerin in a humectant that draws moisture to your skin and helps soften. 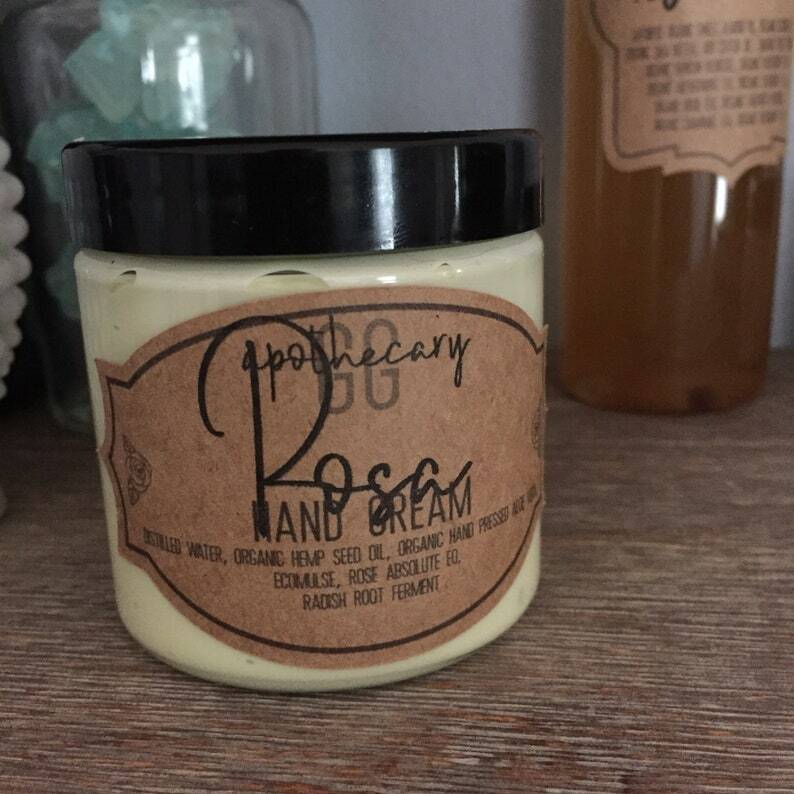 Unlike commercial creams, this handmade cream isn't full of useless ingredients or alcohol. It might take you a while to get used to only needing a fraction of the amount you'd usually use! All of my creams contain a globally approved paraben and formaldehyde-free preservative to keep it safe. I only use organic and non-gmo oils and butters and use locally sources ingredients when I can! All of my products are soy free. I do not use any artificial fragrances in my creams. I use only eco-cert emulsifiers and thickeners and nothing animal derived. ➡ Each jar is about 100 grams by weight, not volume.